Depending on the weather snow can fall in the Alps at higher altitude all around the year but it does not last long usually once the weather changes. Here fresh snow reaches down to about 2000m which is already pretty far for this time of year. 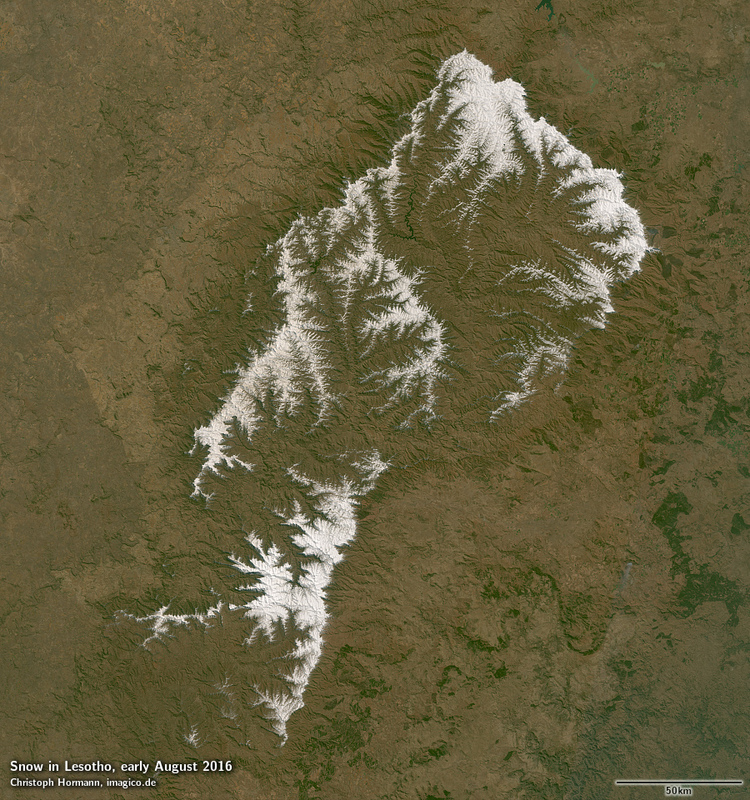 The second image is from Lesotho in southern Africa which received large amounts of winter snow this year. Winter snow is common in Lesotho as well as in South African mountains further west but most of it usually does not last very long. Much of the snow that originally fell has already vanished in this image. See also here for more detailed explanations. 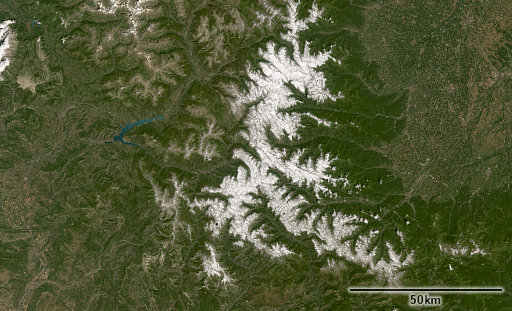 First image is created from Landsat 8 data, second from Copernicus Sentinel 2 data.